Featured Classes — Modern Milk - Happy Mom. Happy Baby. Our courses aim to educate you about your pregnancy, birth, baby, and all things in between. We have qualified professionals educating on various topics such as breastfeeding, infant sleep, and birth. The Happy Mom School was created to empower and support new moms through this amazing experience we call Motherhood! This group is designed with the new mom in mind, you will join when your baby is 0-12 weeks old. Not only will you learn current, expert information, but you will also bond with your baby and make new friends along the way. We want to help you ROCK this new mom gig! The Happy Mom School is now enrolling new moms! Join us as we make new friends, laugh, cry and learn how to be the best moms we can be – and have FUN while doing it! 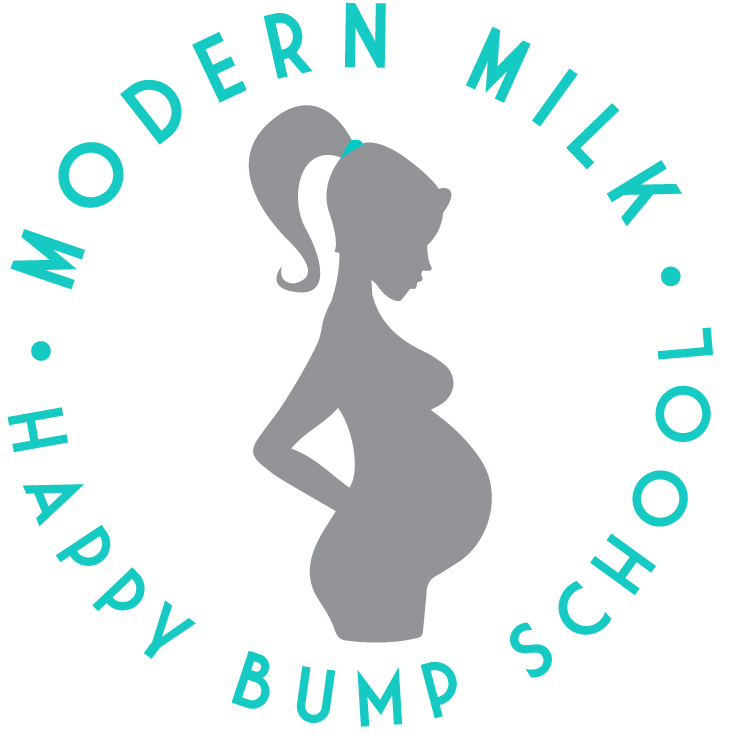 We are so excited to announce our newest series for expecting moms, Happy Bump School! The Happy Bump School was created to educate and prepare moms for this amazing experience we call Motherhood! This educational class series is geared towards expecting moms and will meet one evening/month at Modern Milk Scottsdale. Not only will you learn current, expert information from our panel of speakers, but you will also make new friends along the way. Join us for an evening out each month as we bring in local baby/mom experts to discuss various parenting topics with other expectant moms. Attend just one evening, a few that interested you, or come every month! Light appetizers and drinks included. *Partners are welcome to attend with the purchase of an additional ticket. Sleep deprivation is a serious struggle for many new families. Cara, neonatal nurse, mom of four, and founder of Taking Cara Babies has created a solution to help babies sleep so parents and families can thrive! Over the past five years, Cara has helped thousands of families achieve more restful nights by teaching parents how to help their new babies sleep without crying or rigid schedules in her popular prenatal/newborn class "Will I Ever Sleep Again?" In this practical class, expectant and new parents will learn how to calm a fussy baby, read sleepy cues, set days and NIGHTS up for success, and truly THRIVE. 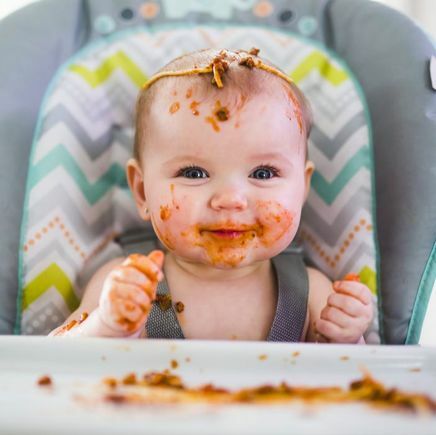 Join Registered Dietitian Megan McNamee MPH, RDN, CLT for an info-packed class all about Baby-led Weaning (BLW), a new trend in infant feeding where babies pass on purees and self-feed real food from the start. Learn advantages of BLW, how to know when your infant is ready, what foods to offer first, how to prevent choking, and what foods to avoid altogether, plus the latest research in allergenic foods. As a bonus benefit, you will receive a menu planning guide that will help make BLW simple. Come see if BLW is right for your family! Feel free to bring snacks, infants and other caregivers. Recommended for parents of infants ages 2-8 months. Breastfeeding 101 is the perfect introduction to breastfeeding and is recommended for all moms who are planning to breastfeed. In this class you will learn the basics of breastfeeding so you can feel prepared and confident when baby arrives! Topics include: The 6 Simple Steps to Success, latch, positioning, how to tell if baby’s getting enough, common problems (and easy solutions! ), pumping and more! We will also have plenty of time for Q&A. This class is recommended for moms in their third trimester, partners are encouraged to attend! Pregnancy, Birth & Baby: You Got This! Pregnancy is the beginning of a journey of a lifetime, and this class will empower new parents with the skills and confidence necessary to thrive in this new phase of life. Join Registered Nurse, Jennifer Grant, for this four-week class as she educates you on the tools you’ll need to be successful in the very different phases of pregnancy, labor and becoming parents. It is best to take this class in the second or third trimester. HypnoBirthing®, The Mongan Method, is considered the “Gold Standard” of birthing with hypnosis. It is a childbirth education method that empowers women to achieve more gentle, natural births. It is both a philosophy and a set of tools for using self-hypnosis techniques and scripts to achieve a focused awareness and level of relaxation that allows for a much more comfortable, easy birth. With HypnoBirthing® you will not be in a trance or sleep state. You will be aware and fully in control, but profoundly relaxed.This 5-week class will be led by Julie Sullivan, a Certified Doula and Childbirth Educator. Pregnant women attend the classes with the support person of their choice: husband, life partner, family member, doula, labor companion, etc. Julie uses exciting and fun methods to engage you and your partner in the lessons and techniques. Join Melissa Thomson, Certified Infant Massage Instructor and Certified Child Life Specialist, to discover the rewarding benefits of infant massage. During this two session course, you will be guided in the simple massage techniques to promote optimal development and will learn how they benefit your babies specific needs. *This class is ideal for parents of babies 1 - 6 months. Dolls will be available to practice with should baby be sleeping, fussy, etc. Hey Dad, how are you doing with your assigned reading? You know, that long, boring book (or books) you’re supposed to get through before baby is born? (We’re all in big trouble no matter what, so no use lying about it.) Maybe a book isn’t really the best way for you to learn how to take care of your partner and your new baby? Created and taught by Brent Simmons, registered nurse and father of 4 young whippersnappers, this class eliminates all the fluffy stuff and gets straight to the point. • How to hold a fragile little newborn in your powerful Shrek hands without breaking it. • Why your partner is acting crazy all of a sudden (and why you should keep your mouth shut). • How to keep the poop on the inside of the diaper (and what to do when that’s not possible). • Why sleep is for wusses (actually, it’s pretty important). Becoming a father is a huge life change, with a massive increase in responsibility, but that doesn’t mean you can’t have some fun while learning how to get there. Come meet other soon-to-be dads and get the real scoop from someone who’s been deep in the trenches of fatherhood and lived to tell the tale. Join Building Blocks owner, Chelsea Kunde a Licensed Associate Marriage and Family Therapist, mom of two and sleep & discipline consultant. Chelsea has extensive experience working with families to build a strong and supportive foundation to help migrate through all life stages. She has created an all encompassing workshop on transitions, challenges, and changes associated with toddlerhood. From information on toddler sleep (nap schedules, transition to big kid bed, bedtimes, etc. ), Discipline (when to start, developmentally appropriate behaviors and how to implement consequences successfully), and Potty Training (step-by-step plan of action and when to implement). This workshop is for parents with children 18 months - 3 years old. Our Pumping and Storage Class will address the most common questions and concerns related to breastfeeding in the first year of life. Topics will include: pumping, breastmilk storage, feeding a breastfed baby a bottle, returning to work, establishing a routine, how much will baby eat, ways to increase supply and more! There will also be plenty of time for Q&A. This class can be taken before or after baby is born. Babies are always welcome to attend! Children learn best when they can actually touch, see, smell, taste, hear, and manipulate the materials in their world. Sensory play can be anything that involves the senses and benefits all aspects of a child's development. This class will provide sensory play activities in a safe learning environment led by Heather Pelanne, mom of 3, former art teacher, and owner of Masterpiece Art Parties. This 3-week class will be a time for the child and parent to explore new and engaging activities together at the pace of each individual child. Class is designed for children ages 18 months - 3 years. Join Building Blocks owner, Chelsea Kunde a Licensed Associate Marriage and Family Therapist, mom of two and sleep & discipline consultant in her Sleep Soundly Class. Sign up today to learn ways to teach infants healthy sleep skills and achieve restful nights with a baby. This is not sleep training, but instead a way to help aid your infant to learn to sleep through the night, establish naps, learn healthy sleep skills, and be well rested. Materials are provided including ways to guide infants to help soothe, sample schedules, and a plan for everyone to get restful sleep. Class is 1.5 Hours in length and baby is welcome to attend. This class is for expectant families or families with infants under 12 weeks of age. Copyright © 2019 Modern Milk. All Rights Reserved.